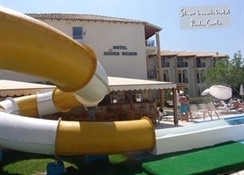 If you’re seeking an affordable getaway to Corfu, the 3-star Silver Beach Hotel Corfu is perfect for families and couples looking for a week in the sun. Set amid its own gardens, this quaint hotel is an ideal base for those who like to relax in a laid-back atmosphere. 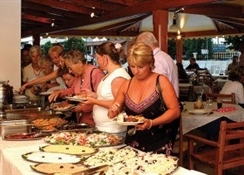 There is an outdoor swimming pool with a sun terrace and an on-site restaurant available at the Silver Beach Hotel Corfu, offering a variety of dishes. The simple rooms are ideal for unwinding after a busy day exploring the surrounding beaches and villages. 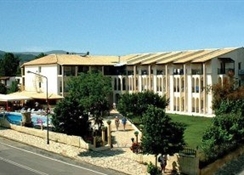 The Silver Beach Hotel Corfu is a great destination for those who want a no-nonsense holiday on the beautiful island of Corfu. The hotel is located in a quiet spot and surrounded by lush gardens enabling guests to relax and escape the stresses of life back home. The beach is just 200m from the hotel where guests can enjoy the beach, paddle in the sea and try out the water sports on offer. The local village or Roda are worth a look as they offer a choice of restaurants, bars and shops. There are plenty of beaches in the area or guests could choose to visit the likes of Mount Pantokrator or Cape Drastis. The airport is 37km from the hotel. 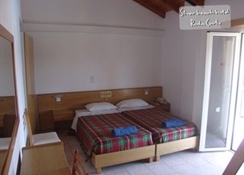 With a total of 60 rooms, guests can choose from Double, Twin Rooms or Family Rooms. The rooms offer simple décor and design with subtle colours and ample space. Each room ensures that guests are taken care of as they come with a range of facilities including air conditioning, satellite TV, fridge, minibar, telephone, safe and a balcony or terrace where guests can enjoy the warm sunshine. 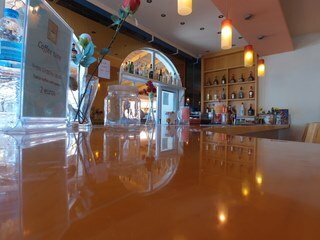 The on-site restaurant provides guests with a variety of hot and cold dishes for breakfast and dinner. During the day, guests can grab a light snack and a drink at the pool bar but if they want more choice then they can take a stroll out of the hotel where they can find a wide choice of bars and restaurants. Guests can relax around the outdoor pool where there is a spacious sun terrace surrounded by palm trees and wonderful gardens. Kids will love their own pool and the water slides where hours of fun can be found. For relaxation, a jacuzzi is sure to melt away those holiday aches after a long day exploring while there is a billiards table on-site. Outside of the hotel, guests can find a range of water sports at the local beach where they are guaranteed to have plenty of fun and thrills.